Looking for a Desktop? Hot Deals Digest has searched over 20 hot deals websites for all current bargains containing Desktop . If you are looking for a specific brand or model of Desktop please use the search box at the top of the page to find the exact item you are looking for. Dell Financial Services is taking 50% off their refurbished Dell OptiPlex 3020 Desktops with coupon code SAVE50DT3020 [Exp 4/29]. Shipping is free with the same code. Models are as low as $100 shipped after code. 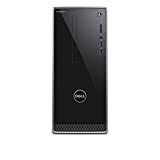 Dell Refurbished Store takes an extra 50% off a selection of its refurbished OptiPlex 3020 desktops via coupon code “DT3020DEAL”, with deals starting from $99.50 after coupon. Plus, all orders bag free shipping. That’s both the best extra discount and the lowest starting price we’ve seen on these models. The pictured Insignia NS-55DF710NA19 Fire TV Edition 55? 4K HDR Smart LED TV is on sale for $250 with free shipping. In-store only. MicroCenter.com has the AMD Ryzen 5 1600 6-Core 3.2GHz (3.6GHz Turbo) Socket AM4 65W Desktop Processor with Wraith Spire Cooler, 2017 model (YD1600BBAEBOX) for $80. Ends 4/29. Dell Financial Services is offering a selection of their refurbished Dell OptiPlex 7010 Business Desktops on sale for as low as $119 with free shipping. All models are $169 or less. Ends tomorrow. Newegg has the AMD RYZEN 2nd Generation Threadripper 2990WX 32-Core / 64 Threads 3.0 GHz (Base) Socket sTR4 250W (YD299XAZAFWOF) Desktop Processor for $1700 – $100 off with coupon code EMCTYUD32 [Exp 4/24] = $1600 with free shipping. Amazon is offering the WD 10TB Elements Desktop USB 3.0 External Hard Drive WDBWLG0100HBK-NESN for the best deal. Normally over $200, and has been at $160 twice since January. Now it’s back at $160. This is one of the best rated external USB hard drives on the market, useful for reliably keeping backups of photos, videos, and personal information. 10TB is a lot of storage. If you use it to backup your family’s camera photos & videos in the highest quality formats, assuming 0.5 to 1 TB per year, it would have enough storage to backup your 4K videos and 12-megapixel photos for well over 10 years. That’s a lot of data in one place, so if you bought two to backup the same files on both drives, you would have reliable backups in 2 places in case one drive were to fail. Today only. Amazon has the Western Digital WD Elements 10TB External USB 3.0 Desktop Hard Drive (WDBWLG0100HBK-NESN) on sale for $160 with free shipping. Today only. Amazon has the AMD RYZEN 2nd Generation Threadripper 2950WX 16-Core / 32 Threads 3.5 GHz (Base) Socket sTR4 180W (YD295XA8AFWOF) Desktop Processor for $679 with free shipping. Has a Max Boost of 4.4GHz. Ends 4/29. Newegg has the G.Skill 16GB (2x 8GB) Ripjaws Series 260-Pin DDR4 2133 SO-DIMM Laptop Memory (F4-2133C15D-16GRS) for $70 with free shipping. Amazon with Green Micro Certified Renewed & Refurbished has the refurbished HP Pavilion 590-p0057c 8th Generation Core i5 Hexa-Core Gaming Desktop (3LA35AAR#ABA) for $430 with free shipping. Amazon has the Corsair Elgato Thunderbolt 3 40 Gb/s Mini Dock w/ Built-In Thunderbolt Cable & Dual 4K Support (10DAB9901) for $100 with free shipping. Walmart has it for the same price. Rakuten.com with Platinum Micro has the AMD RYZEN 7 1700 Eight-Core 3.0GHz (3.7GHz Turbo) Socket AM4 65W Desktop Processor with Wraith Spire LED Cooler, 2017 release (YD1700BBAEBOX) for $150 – 15% off with code SAVE15 [Exp 4/23] = $127 with free shipping. Newegg has the WD Blue 4TB 5400 RPM SATA 6Gb/s 64MB Cache 3.5″ Desktop Internal Hard Disk Drive (WD40EZRZ) for $85 – $5 off with coupon code EMCTYVV23 [Exp 4/23] = $80 with free shipping. Adata via Rakuten offers its Adata XPG Gammix D10 16GB PC4-24000 DDR4-3000 288-Pin Desktop Memory Kit with two 8GB DIMMs for $81.99. Coupon code “AD12” cuts that to $69.69. With free shipping, that’s $4 under last month’s mention and the lowest price we’ve seen. (It’s the best deal now by $52.) Deal ends April 24. WIDE SPACED OUTLETS FIT FOR BIG PLUGS – 6 wide spaced ac outlets are separated enough to fit big plugs without blocking each other, Compact size and stylish design ideal for a desktop power strip or bedside/nightstand charging station in your home and office. USB CHARGING STATION – This usb extension cord built in an intelligent device identity chip for usb charging management and dynamically distribute current for your smartphone or tablets. 5V/2.4A max charging current in one socket at a time would charging for your usb devices. Not Fast Qualcomm QC charging. MULTI OUTLET STRIP WITH CIRCUIT BREAKER – 6 AC outlets provide a rated power of 1875W (125V~ 15A) and a wide range of power distribution 100~240V, multi outlets power strip with 3 USB charger and 14AWG 4 feet heavy duty extension cord can meet most applications, NO SURGE PROTECTOR, ideal for your travel and cruise ship accessories. SAFETY GUARANTEE – Certificated by FCC& RoHS. Flame retardant PC Shell material makes its fireproof up to 1382 F; Built-in Circuit Breaker provides an over-current/over-charging/over-heating and overload protection, enhance its safe coefficient. Newegg has the AMD RYZEN 2nd Generation Threadripper 2990WX 32-Core / 64 Threads 3.0 GHz (Base) Socket sTR4 250W (YD299XAZAFWOF) Desktop Processor for $1700 – $100 off with coupon code EMCTYUD32 [Exp 4/24] = $1600 with free shipping. Walmart has the SkyTech Gaming Shadow Ryzen 3 1300X 3.5GHz Radeon RX 580 4GB Desktop PC for $500 with free shipping. Includes Keyboard and Mouse with purchase. Features Thermaltake Versa N21 Case (Black) and a A320M Motherboard. Shell Shocker! Today only. Newegg has the ABS Gem 8th Gen Core i7 / RTX 2080 8GB GPU / Gaming Desktop (ALI243) for $1400 with free shipping. However, note many of these low-cost SSDs use “TLC” based cells. They are known to provide great-performance (read/write speed), but are known to be of lesser quality than MLC. They have a lower lifespan. This means they are fine for a gaming desktop computer, shared computer, or home theater PC that isn’t doing important work. If we wanted an SSD inside an computer or laptop that we want to last, we recommend paying for for a non-TLC based SSD. For piece of mind that our laptops won’t die soon, we use the Samsung 860 EVO and Samsung 860 Pro with V-NAND MLC cells and 5-year warranty. The Pro also has built-in hardware encryption (if your computer’s motherboard BIOS supports it). Newegg has the Western Digital WD20EZRZ Blue 2TB (1x2TB) 5400RPM SATA 6Gb/s 64MB Cache Desktop Hard Disk Drive for $62 – $12 off with coupon code EMCTYVT26 [Exp 4/21] = $50 with free shipping. WD’s Blue-line hard drives come with a 2-year warranty. Ends 4/25. Newegg has the iBUYPOWER Slate2 068i 9th Generation Core i7 Octa-Core RGB Gaming Desktop with 6GB NVIDIA GeForce RTX 2060 for $1300 with free shipping. Call of Duty: Black Ops 4 and your choice of one: Anthem, Battlefield V, or Metro Exodus. Desktop features Windows 10 Home 64-bit, 550 Liquid Cooling and, is VR Ready. Rakuten.com with Office Depot has the Lenovo IdeaCentre 510A Ryzen 3 2200G Desktop (13374004) for $350 – $55 off with code OFD55 [Exp 4/24] = $295 with free shipping. Includes USB keyboard & mouse with the purchase. Ends 4/25. Newegg has the G.SKILL Ripjaws V Series 32GB (2 x 16GB) 288-Pin DDR4 SDRAM DDR4 2400 (PC4 19200) Intel Z170 / Intel X99 Platform Desktop Memory (F4-2400C15D-32GVR) for $145 with free shipping. Newegg has the CyberpowerPC Gamer Master GM2787D AMD Ryzen 7 2700 Gaming Desktop for $1000 + $10 shipping = $1010 shipped. Dell Refurbished Store discounts a selection of its refurbished Dell OptiPlex 7020 desktops via coupon code “BUY7020NOW”, with prices starting from $119.50 thereafter. (All items are $254.50 or less.) Plus, these items bag free shipping. That’s the best extra discount we’ve seen on these, as well as the lowest starting price. Exclusions apply, including clearance items. Ends today. Newegg has the Team T-Force Delta II RGB Series 16GB (2 x 8GB) 288-Pin DDR4 SDRAM DDR4 3000 (PC4 24000) Desktop Memory Model TF4D416G3000HC16CDC01 for $85 with free shipping. Ends 4/19. Newegg has a 2-pack of Seagate IronWolf NAS 3.5″ 6TB 7200 RPM 256MB Cache SATA 6.0Gb/s High-Performance Hard Drives for Desktop NAS Systems (ST6000VN0033) on sale for $300 with free shipping. Newegg has the Intel Core i9-9900K Coffee Lake Octa-Core 16-Thread 3.6GHz (5.0GHz Turbo) LGA 1151 (Intel 300 Series) 95W Desktop Processor (BX80684I99900K) for $500 – $25 off with coupon code EMCTYUD24 [Exp 4/24] = $475 with free shipping. Ends 4/18 at 10PM PT. Computers.woot! has the Seagate Backup Plus STDT8000100 8TB USB 3.0 Desktop External Hard Drive for $100 with free shipping for Amazon Prime members or $6 shipping. Should hold a few pictures and videos. Dell Refurbished Store discounts a selection of its refurbished Dell OptiPlex 7010 Desktop PCs to $119. (There may also be a few for $99.) Plus, these items bag free shipping. That’s a savings of up to $120. Ends tomorrow. Newegg has the Lenovo IdeaCentre 520-24ICB 8th Gen Core i5 FHD 23.8″ All-in-One Touchscreen Desktop (F0DJ006VUS) for $700 with free shipping. Includes Wireless Keyboard & Mouse with purchase. Amazon with Super Deal has the Halter ED-258 Preassembled Height Adjustable Sit/Stand Elevating Desktop (Black) for $127 – $32 off with coupon code GVVYYHAE at checkout = $95 with free shipping. Ends 4/18. Newegg has the Team T-Force Delta II RGB Series 16GB (2 x 8GB) 288-Pin DDR4 SDRAM DDR4 3000 (PC4 24000) Desktop Memory Model TF4D416G3000HC16CDC01 for $85 with free shipping. Dell Refurbished Store cuts 50% off any desktop or laptop priced at $299 or more via coupon code “ONLYDEALNEWS”. Plus, free shipping applies. Some exclusions apply, including clearance items. Deal ends April 18. Ends 4/22. Newegg has the SkyTech ArchAngel Ryzen 2600 3.4GHz Radeon RX 580 4GB Desktop PC (ST-ARCH-2600-500GSSD-RX580/4G) for $600 with free shipping. Amazon has the Intel Core i9-9900K Coffee Lake Octa-Core 16-Thread 3.6GHz (5.0GHz Turbo) LGA 1151 (Intel 300 Series) 95W Desktop Processor (BX80684I99900K) for $480 with free shipping. Amazon has the Seagate BarraCuda Compute 2TB 7200 RPM 256MB Cache SATA III 6.0Gb/s 3.5″ Desktop Internal Hard Drive (ST2000DM008) for $60 with free shipping. Newegg has it for the same price. The sale price is back… Dell has the Dell XPS 8930 8th Generation Core i7 Desktop PC (2017 model) for $1000 – $300 off with code AFF300XPS [Exp 4/26 at 5AM PT] = $700 with free shipping. Features two USB-C ports. Join Power Deal; login required to see discount. MassGenie with ADATA has the ADATA XPG Gammix D10 16GB (2 x 8GB) 288-Pin DDR4 SDRAM DDR4 3000 (PC4 24000) Desktop Memory (AD4U300038G16-DS10) for $70 with free shipping. Amazon with Green Micro Certified Renewed & Refurbished has the refurbished HP Pavilion 590-p0057c 8th Generation Core i5 Hexa-Core Gaming Desktop (3LA35AAR#ABA) for $440 with free shipping. My Book has back-up and encryption software/tools that the Element models don’t have. Ends today. B&H Photo Video has the WD 10TB My Book Desktop USB 3.0 External Hard Drive (WDBBGB0100HBK-NESN) for $146 with free shipping. Note that it does not ship with an operating system, but you can select one for additional cost. A 90-day warranty applies, but it’s unclear who backs it. Today only. Newegg has the Acer Aspire TC-281-UR12 A10 Series 12GB RAM Desktop PC (DT.B92AA.002) for $420 with free shipping. Ends tomorrow. Dell Financial Services is taking 50% off any refurbished laptop or desktop $500 or more with coupon code APRIL$$DEAL [Exp 4/15]. Or take 40% off any laptop or desktop $400 to $499, or 30% off any laptop or desktop $200 to $399 with the same code. Shipping is also free with this code. Excludes clearance items. Shell Shocker! Ends today. Newegg has the AMD Ryzen 5 1600 Hexa-Core 3.2GHz Socket AM4 65W Desktop Processor (YD1600BBAEBOX) + Gigabyte GA-AX370-Gaming 3 AM4 AMD X370 SATA 6Gb/s USB 3.1 HDMI ATX Gaming Motherboard Combo for $145 with free shipping. Ends today. NeweggFlash has the Western Digital WD Elements 8TB USB 3.0 Desktop Hard Drive, 2018 model (Black, WDBWLG0080HBK-NESN) for $140 – $10 off with coupon code 43DPC7 [Exp 4/12] = $130 with free shipping. Ends 4/18. Newegg has the Lenovo IdeaCentre 520-24ICB 8th Gen Core i5 FHD 23.8″ All-in-One Touchscreen Desktop (F0DJ006VUS) for $700 with free shipping. Includes Wireless Keyboard & Mouse with purchase. Prime members only. Amazon with Super Deal has the Halter ED-258 Preassembled Height Adjustable Sit/Stand Elevating Desktop (Black) for $127 with free shipping. Ends today. Newegg has the Seagate Expansion 4TB Portable External USB 3.0 Portable Hard Drive (STEA4000400) for $90 – $10 off with coupon code 43DPC8 in cart = $80 with free shipping. Has a smaller 0.82″ x 3.15″ x 4.61″ form factor than the desktop model. 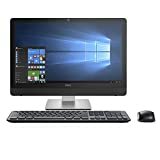 Dell Financial Services is taking 50% off any refurbished laptop or desktop $500 or more with coupon code APRIL$$DEAL [Exp 4/15]. Or take 40% off any laptop or desktop $400 to $499, or 30% off any laptop or desktop $200 to $399 with the same code. Shipping is also free with this code. Excludes clearance items. Newegg has the OLOy 16GB (2 x 8GB) 288-Pin SDRAM DDR4 3000 (PC4 24000) Desktop Memory (White, MD4MU081G83016D) for $79 – $6 off with coupon code EMCTYUV62 [Exp 4/18] = $73 with free shipping. Features 16-18-18-38 tining and is unbuffered. Newegg has the Western Digital WD My Book 6TB USB 3.0 Desktop External Hard Drive, 2016 model (Black, WDBBGB0060HBK-NESN) for $116 – $16 off with coupon code EMCTYUV49 [Exp 4/12] = $100 with free shipping. Early Access Shell Shocker! Ends tomorrow. Newegg has the ABS TUF 8th Generation Core i7 8GB GPU HDD/SSD Gaming Desktop (ALI225) for $1250 – $50 off with coupon code EMCSTYUV3 [Exp 4/13] = $1200 with free shipping. Walmart has the SkyTech Gaming ArchAngel Elite Ryzen 5 2600 RTX 2060 Version Gaming Desktop PC for $850 with free shipping. Ends 4/13. NeweggFlash has the G.SKILL Sniper Series X 32GB 288-Pin DDR4 SDRAM DDR4 3600 (PC4 28800) Desktop Memory (F4-3600C19D-32GSXKB) for $195 with free shipping. Features 19-20-20-40 timing, 1.35v and is unbuffered. Ends tomorrow. Newegg has the Seagate Expansion 4TB Portable External USB 3.0 Portable Hard Drive (STEA4000400) for $90 – $10 off with coupon code 43DPC8 in cart = $80 with free shipping. Newegg has the GeIL EVO SPEAR 16GB (2 x 8GB) 288-Pin DDR4 SDRAM DDR4 3000 (PC4 24000) Desktop Memory (GSB416GB3000C16ADC) for $75 – 10% off with coupon code EMCTYUU33 [Exp 4/11] + $1 shipping = $68 shipped. Shell Shocker! Today only. Newegg has the AMD Ryzen 3 1200 3.4GHz Quad-Core Desktop Processor with Wraith Stealth Cooler (YD1200BBAEBOX) for $70 with free shipping. Ends 4/16. NeweggFlash has the ABS Fleet 8th Generation Core i7 6GB GPU RGB Gaming Desktop (ALI265) for $1100 with free shipping. Features Windows 10 Home 64-bit and Antec DF500 Dark Fleet Series RGB Case with 3 x 120 mm RGB LED fans. NeweggFlash has the Western Digital WD Elements 8TB USB 3.0 Desktop Hard Drive, 2018 model (Black, WDBWLG0080HBK-NESN) for $140 – $10 off with coupon code 43DPC7 [Exp 4/12] = $130 with free shipping. Ends 4/15. NeweggFlash has the iBUYPOWER Trace2 97K80 9th Gen Octa-Core Gaming Desktop with 8GB NVIDIA GeForce RTX 2080 for $1900 with free shipping. Dell Refurbished Store discounts a selection of its refurbished Dell OptiPlex 7010 Desktop PCs, with prices starting at $99. (All items are $139 or less.) Plus, these items bag free shipping. That’s the best starting price we’ve seen on this model. Dell has the Dell XPS 8930 8th Generation Core i7 Desktop PC (2017 model) for $1000 – $300 off with code AFF300XPS [Exp 4/26 at 5AM PT] = $700 with free shipping. Features two USB-C ports. Western Digital often uses “Red” drives inside of this external drive. If you feel lucky, and follow video instructions on how to open the drive case without breaking it (also known as “shucking”), you could get a Western Digital Red 8TB NAS 5400rpm Hard Drive with 256MB Cache that would normally sell for $250 on Newegg and Amazon. We wanted to increase our fileserver’s hard drive capacity, so we did this deal 4 times last month. We followed this video, and used four Guitar Picks purchased on Amazon for $4. Look for “Made in Thailand” written on the bottom of the product box. If you have a Thailand-made drive, it’s a good change a Red is inside. If a drive arrives and is not made in Thailand, no Red will be inside and you can return the unopened product for a refund. Note that the drive will have a generic white label, and will not have any indication of the drive’ model number. It must be plugged into a computer’s Serial-ATA port, and software (or the computer’s BIOS) can identity the drive model number. All of ours purchased from Newegg last month had model WD80EMAZ-00WJTA0 drives inside, which is a popular helium-filled Western Digital Red 8TB with 256MB cache. It’s a good drive for file storage, since performs great, runs cool, is reliable, and has TLER enabled (better for RAID and NAS setups than a regular hard drive). Here is a test result of the drive. Ends 4/15. Newegg has the CORSAIR Vengeance RGB Pro 16GB (2 x 8GB) 288-Pin DDR4 DRAM DDR4 3000 (PC4 24000) Desktop Memory (CMW16GX4M2D3000C16) for $104 with free shipping. CAS Latency: 16 and timing: 16-20-20-38. Ends 4/15. Newegg has the iBUYPOWER Trace 9th Generation Core i5 Hexa-Core RGB Gaming Desktop (065i) for $1030 with free shipping. 64-bit Windows 10 Home installed. Rakuten.com with Platinum Micro has the AMD RYZEN 7 1700 Eight-Core 3.0GHz (3.7GHz Turbo) Socket AM4 65W Desktop Processor with Wraith Spire LED Cooler, 2017 release (YD1700BBAEBOX) for $156 – 15% off with code SAVE15 [Exp 4/9] = $132 with free shipping. Early Access Shell Shocker! Ends tomorrow. Newegg has the CyberpowerPC Gamer Master 2787D AMD Ryzen 7 2700 Gaming Desktop for $1100 – $50 off with coupon code EMCSTYTD2 [Exp 4/9] = $1050 with free shipping. 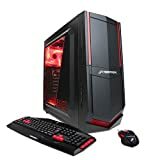 Rakuten.com with Electronic Express has the Acer Nitro 50 (N50-600-DH11) 8th Generation Core i5 Hexa-Core Gaming Desktop for $699 – $60 off with code SAVE15 [Exp 4/9] = $639 with free shipping. Windows 10 Home installed. Amazon has the Intel Core i9-9900K Coffee Lake Octa-Core 16-Thread 3.6GHz (5.0GHz Turbo) LGA 1151 (Intel 300 Series) 95W Desktop Processor (BX80684I99900K) for $490 with free shipping. Ends 4/14. Newegg has the ABS Nite 9th Generation Core i7 Octa-Core Full RGB Gaming Desktop with 8GB NVIDIA GeForce RTX 2070 (ALI261) for $1500 – $70 off with coupon code NEFPBK46 [Exp 4/14] = $1430 with free shipping. Includes Call of Duty: Black Ops 4 and your choice of one of the following: Anthem, Battlefield V and Metro Exodus with purchase. Features 120mm AIO Liquid Cooling, DEEPCOOL MATREXX 55 ADD-RGB ATX Mid-Tower Case with 3 x 120 mm ADD-RGB Fans. Newegg is offering the 8TB WD Elements Desktop USB 3.0 External Hard Drive (WDBWLG0080HBK-NESN) for the best deal. Ends 4/13. Newegg Nutrend.com has the SkyTech Omega Mini Ryzen 5 1600 3GB GPU Windows Home Gaming Desktop for $700 with free shipping. Alternatively, they have the SkyTech Omega Mini Ryzen 5 1400 / 16GB/ SSD / 3GB 1060 Windows Home Gaming Desktop for $650 with free shipping. Ends 4/13. Newegg with TEAMGROUP has the TeamGroup Elite 16GB (2 x 8GB) CL16 UDIMM 288-Pin DDR4 2400 (PC4 19200) Desktop Memory (TED416G2400C16DC01) for $74 with free shipping. Newegg has the Western Digital WD Elements 8TB USB 3.0 Desktop Hard Drive, 2018 model (Black, WDBWLG0080HBK-NESN) for $140 – $10 off with coupon code 43DPC7 in cart = $130 with free 2-day shipping with ShopRunner (free signup for 2 years with PayPal). Ends 4/12. Newegg has the Seagate Expansion 4TB Portable External USB 3.0 Portable Hard Drive (STEA4000400) for $90 – $10 off with coupon code 43DPC8 in cart = $80 with free shipping. Amazon has the CORSAIR Vengeance RGB Pro 16GB (2 x 8GB) 288-Pin DDR4 DRAM DDR4 3200 (PC4 25600) Desktop Memory (CMW16GX4M2C3200C16) for $120 with free shipping. Newegg has it for the same price. Ends 4/11. Newegg has the OLOy 8GB 288-Pin SDRAM DDR4 3000 (PC4 24000) Desktop Memory (White, MD4U083015BASA) for $40 with free shipping. Features 15-17-17-35 tining and is unbuffered. Rakuten.com with Platinum Micro has the AMD Ryzen 7 2700 8-Core 3.2GHz AM4 Desktop Processor with Wraith Spire Cooler (YD2700BBAFBOX) for $240 – $40 off with coupon code PLM40 [Exp 4/10] = $200 with free shipping. Ends 4/11. Newegg has the Rosewill CULLINAN V500 RGB ATX Mid Tower Case (Red, R0901006-0118) + Rosewill CAPSTONE 550M 550W 80 Plus Gold Modular Power Supply Combo for $125 with free shipping. Features crystal clear 3-sided tempered glass, 4 pre-installed RGB LED fans and 3-way airflow. On Amazon, the Tower Case ($125) and Power Supply ($77) would be around $202 together. Ends 4/12. NeweggFlash has the CyberpowerPC Gamer Xtreme C780D 8th Generation Core i7 Hexa-Core Liquid Cool Gaming Desktop (GXC780D) for $1280 with free shipping. Ends 4/11. Newegg has the ABS Gem Ryzen 5 2400G Quad-Core GTX 1060 Gaming Desktop (ALA094) for $740 with free shipping. Includes NVIDIA Fortnite Bundle: Counterattack Set ($45 value) and Tom Clancy?s The Division 2 Bundle included with purchase. Newegg has the Crucial MX500 1TB 3D NAND SATA 2.5″ Internal Solid State Drive, (CT1000MX500SSD1) + Crucial 16GB (2 x 8GB) 288-Pin DDR4 SDRAM 2400 (PC4 19200) Desktop Memory (CT2K8G4DFD824A) Bundle for $211 – $20 off with coupon code EMCTYTY44 in cart = $191 with free shipping. On Amazon, the SSD ($130) and RAM ($99) would be around $229 together. Ends tomorrow. Newegg has the Intel 660p Series 512GB M.2 2280 PCIe 3.0 x4 3D NAND Internal Solid State Drive (SSDPEKNW512G8XT) + G.SKILL Aegis 8GB 288-Pin DDR4 SDRAM DDR4 3000 (PC4 24000) Desktop Memory (F4-3000C16S-8GISB) Combo for $90 with free shipping. On Amazon, the SSD ($66) and RAM ($54) would be around $120 together. For computer builders, a Rosewill ATX Mid-Tower PC Case with 4 of 120mm LED-color fans for $90. The case has tempered glass on 3 sides, and the fans have 9 LED color modes. A Rosewill 2.1 Speaker System With Bluetooth is included for free ($70 value) with 30-watt powered subwoofer and two 10-watt speakers. If you want the speakers and the colored LED fans for your PC build, this looks like a hot deal. If you just want a PC case and don’t need speakers, check out a cheaper Cooler Master HAF-912. Dell has the Dell XPS 8930 8th Generation Core i7 Desktop PC (2017 model) for $1000 – $300 off with code AFF300XPS [Exp 4/5 at 5AM PT] = $700 with free shipping. Features two USB-C ports. Ends 4/10. Newegg has the Team T-Force Vulcan Series 16GB (2 x 8GB) 288-Pin DDR4 SDRAM DDR4 3000 (PC4 24000) Desktop Memory (Gray, TLGD416G3000HC16CDC01) for $80 with free shipping. Newegg has the AMD Ryzen 7 2700 8-Core 3.2GHz AM4 Desktop Processor with Wraith Spire Cooler (YD2700BBAFBOX) + ASUS ROG Strix X470-F Gaming AM4 AMD X470 SATA 6Gb/s USB 3.1 HDMI ATX AMD Motherboard Bundle for $360 with free shipping. On Amazon, the CPU ($240) and motherboard ($190) would be around $430 together. Newegg has the ADATA XPG Gammix D10 16GB (2 x 8GB) 288-Pin DDR4 SDRAM DDR4 2666 (PC4 21300) Desktop Memory (Red, AX4U266638G16-DRG) for $77 with free shipping. Ends 4/6. NeweggFlash has the HP Pavilion AIO 8th Generation Core i7 23.8″ FHD Touch Desktop PC (24-xa0045xt) for $1299 with free shipping. Includes wireless keyboard and mouse with purchase. Using a desktop computer (not a mobile device), sign-in to Amazon if you are not yet signed-in. Go to Download Amazon Assistant using Chrome, Firefox, Opera, Microsoft Edge, 360 Safe Browser, 360 Quick Browser, or Sogou Explorer. Shop by clicking through the Amazon Assistant plugin for your browser, and use your $3 credit on a $10 order of physical goods sold by Amazon by April 23. Rakuten.com with TheKeyKey has the AMD RYZEN 7 1700 Eight-Core 3.0GHz (3.7GHz Turbo) Socket AM4 65W Desktop Processor with Wraith Spire LED Cooler, 2017 release (YD1700BBAEBOX) for $160 – 15% off with code KEY24 [Exp 4/3] = $136 with free shipping. Ends 4/7. NeweggFlash has the iBUYPOWER Trace 9th Generation Core i5 Hexa-Core RGB Gaming Desktop (065i) for $1100 – $50 off with coupon code NEFPBJ65 [Exp 4/7] = $1050 with free shipping. 64-bit Windows 10 Home installed. Includes your choice of one game; Anthem, Battlefield V and Metro: Exodus. Rakuten.com with Dell has the Dell Inspiron 5676 2nd Generation Ryzen 7 2700 Eight-Core VR-Ready Gaming Desktop (ndrd2tam941ps) for $900 – extra $140 off with coupon code DELL140 [Exp 4/3] = $760 with free shipping. Ends today. Newegg has the Team Dark Pro 16GB (2 x 8GB) 288-Pin DDR4 SDRAM DDR4 3200 (PC4 25600) Desktop Memory Model (TDPGD416G3200HC14ADC01) for $160 with free shipping. Ends today. Dell Financial Services is taking 50% off their refurbished Dell OptiPlex 7010 Desktops with coupon code BUY7010NOW [Exp 3/31]. They’re as low as $110 shipped after code. Shipping is free. Toshiba Canvio Advance 1TB Portable Hard Drive for $40. Toshiba Canvio Advance 2TB Portable Hard Drive for $52. Western Digital USB 500GB Solid State Drive for $72. An SSD has no moving parts and works while being shook, bumped, and dropped. Samsung T5 Portable USB 2TB Solid State Drive for $330 Normally about $400. Western Digital 6TB Desktop/External USB Hard Drive for $100. SanDisk Extreme Pro 128GB Secure Digital (SDXC) Memory Card for $32. One of the most reliable SD cards on the market today. We used one in our Canon SLR camera, and it saves photos quicker than a standard SD card. SanDisk Extreme Pro 512GB Secure Digital (SDXC) Memory Card for $160. Samsung 128GB MicroSD Memory Card for $30. Normally about $40. SanDisk Extreme 256GB MicroSD Memory Card for $53 Normally at least $60. For a cheaper deal, Newegg is selling a Team 256GB MicroSD Card for $35. Kingston 240GB M.2 2280 Internal SSD for $40. Normally $50. Today only. Amazon has the Western Digital WD My Book 6TB USB 3.0 Desktop External Hard Drive, 2016 model (Black, WDBBGB0060HBK-NESN) for $100 with free shipping. B&H Photo Video has it for the same price. Update: Newegg has it for $84 – $9 off with coupon code EMCTWVE22 [Exp 4/4] = $75 with free shipping. Backordered 7 to 10 days. Amazon has the Ballistix Sport LT 16GB Kit (8GBx2) DDR4 3000 MT/s (PC4-24000) CL16 SR x8 DIMM 288-Pin Memory (BLS2K8G4D30BESBK, Gray) for $84 with free shipping. Today only. Amazon celebrating “World Backup Day” by taking up to 37% off select computer storage. Shipping is free for Prime members or on purchases $25 or more. The pictured Toshiba X300 HDWE140XZSTA 4TB 7200 RPM 128MB Cache SATA 6.0Gb/s 3.5″ Desktop Internal Hard Drive is on sale for $90 with free shipping. Ends tomorrow. Dell Financial Services is taking 50% off their refurbished Dell OptiPlex 7010 Desktops with coupon code BUY7010NOW [Exp 3/31]. They’re as low as $110 shipped after code. Shipping is free. Today only. Amazon is offering up to 50% on Belkin, Linksys, and Wemo connectivity solutions with the discount shown on the product page. Shipping is free on purchases $25 or more. 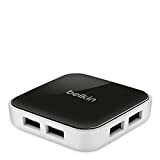 The pictured Belkin Family Rockstar Wall-Mountable 4-Port USB Desktop Charging Station (F8M990ttWHT) is on sale for $29 with free shipping. Ends 3/31. NeweggFlash has the CtberpowerPC Gamer Master 2787D AMD Ryzen 7 2700 Gaming Desktop for $1080 with free shipping. Includes Tom Clancy’s The Division 2 and your choice of one of the following Anthem, Battlefield V and Metro Exodus. 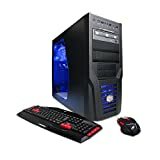 iBUYPOWER Slate2 9th Gen Core i7 6GB RTX 2060 Gaming Desktop + 2 Games (Slate2 068i) for $1400 with free shipping. Rakuten.com with ADATA has the ADATA XPG Gammix D10 16GB (2 x 8GB) 288-Pin DDR4 SDRAM DDR4 3000 (PC4 24000) Desktop Memory (AD4U300038G16-DS10) for $82 – $12 off with coupon code AD12 [Exp 4/3] = $70 with free shipping. Dell Financial Services is taking 50% off their refurbished Dell OptiPlex 7010 Desktops with coupon code BUY7010NOW [Exp 3/31]. They’re as low as $110 shipped after code. Shipping is free. Newegg has the ABS Master-Pro Ryzen 5 2400G Quad-Core GTX 1050 Ti Gaming Desktop (ALA078) for $750 – $50 off with coupon code EMCSTWVE2 [Exp 3/29] = $700 with free shipping. Tom Clancy?s The Division 2 Bundle and NVIDIA Fortnite Bundle included with purchase. Newegg has the Seagate Expansion 4TB Portable External USB 3.0 Portable Hard Drive (STEA4000400) for $95 – $15 off with coupon code EMCTWVE38 [Exp 3/29] = $80 with free shipping. eBay with VIPOutlet has the seller refurbished CyberPowerPC ET8380 GXiVR3800WST Gamer Xtreme VR Gaming Desktop for $799 – $15% off in cart = $679 with free shipping. 64-bit Windows 10 Home installed. eBay with VIPOutlet has the CyberPowerPC ET8380 GXiVR3800WST Gamer Xtreme VR Gaming Desktop for $799 – $15% off in cart = $679 with free shipping. 64-bit Windows 10 Home installed. Update: Newegg has it for $84 – $9 off with coupon code EMCTWVE22 [Exp 4/4] = $75 with free shipping. Ends 4/3. Newegg has the CyberpowerPC Gamer Xtreme 9th Generation Core i7 Octa-Core Gaming Desktop with 8GB NVIDIA GeForce RTX 2070 (C790T) for $1340 – $50 off with coupon code EMCTWVD56 [Exp 4/3] = $1290 with free shipping. Call of Duty: Black Ops 4 and your choice of one: Anthem, Battlefield V, or Metro Exodus. Ends today. Newegg has the iBUYPOWER Element 9th Generation Core i7 Octa-Core Gaming Desktop with 8GB NVIDIA GeForce RTX 2080 (043iV2) for $1750 – $50 off with coupon code EMCTWVV33 [Exp 3/28] = $1700 with free shipping. Includes Call of Duty: Black Ops 4, Metro Exodus, Anthem, and Battlefield V games with purchase. Desktop features RGB lighting, is VR Ready and liquid cooled.